Somali airplane bomber was only victim of bomb. 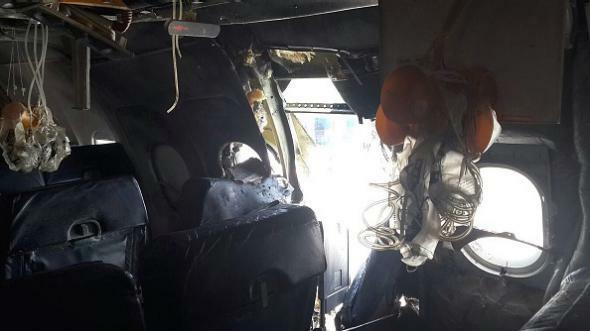 Damage to the Daallo Airlines Airbus on which a bomb exploded on Feb. 2, 2016. The man sucked out of a Somali airliner after an inflight explosion has been identified as Abdullahi Abdisalam Borleh, an elderly Somali national, Somalia officials said Friday. Investigators suspect he carried a laptop computer with a bomb concealed onto the plane, according to a source familiar with the investigation. One can only hope that Borleh, who is believed to have been acting in affiliation with the al-Shabaab jihadist terror group, was conscious for long enough to understand just how ironically his attempt to murder more than 70 people had gone wrong.